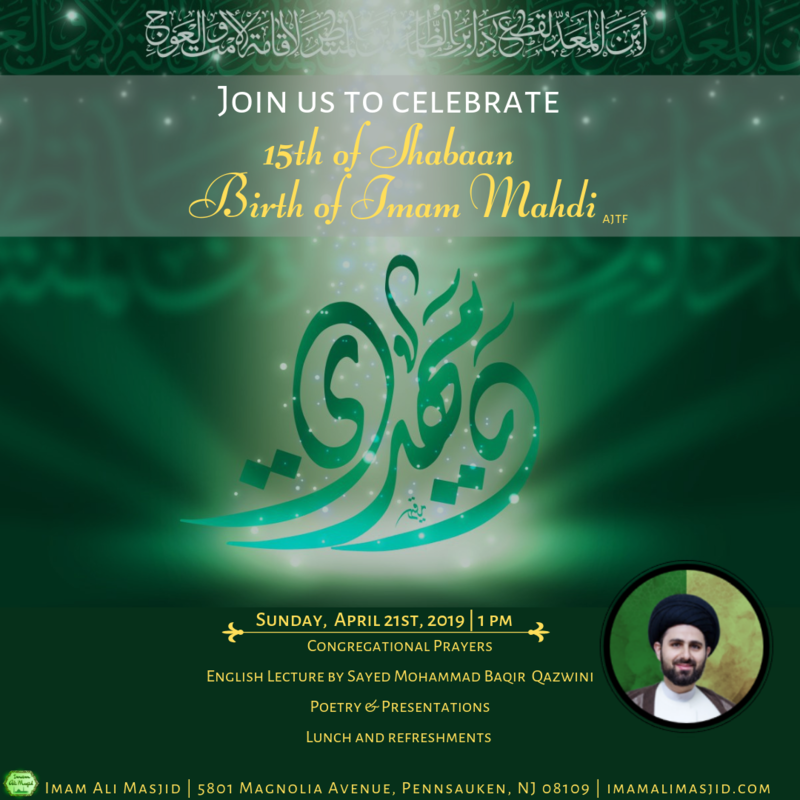 Join us to celebrate the birth anniversary of Imam al Mahdi (ajtf) on Sunday, April 21st at 1 pm. 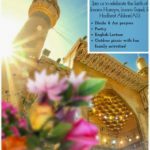 We will begin with Dhuhr and Asr prayers, followed by English lecture with guest scholar Sayed Mohammad Baqir Qazwini, poetry and presentations, and concluding with lunch. Please view the flyer for more information. 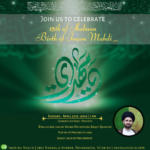 Join us to celebrate the birth anniversaries of Imam Husayn, Imam Sajad, and Hadhrat Abbas (AS) on Saturday, April 13th, 2019. 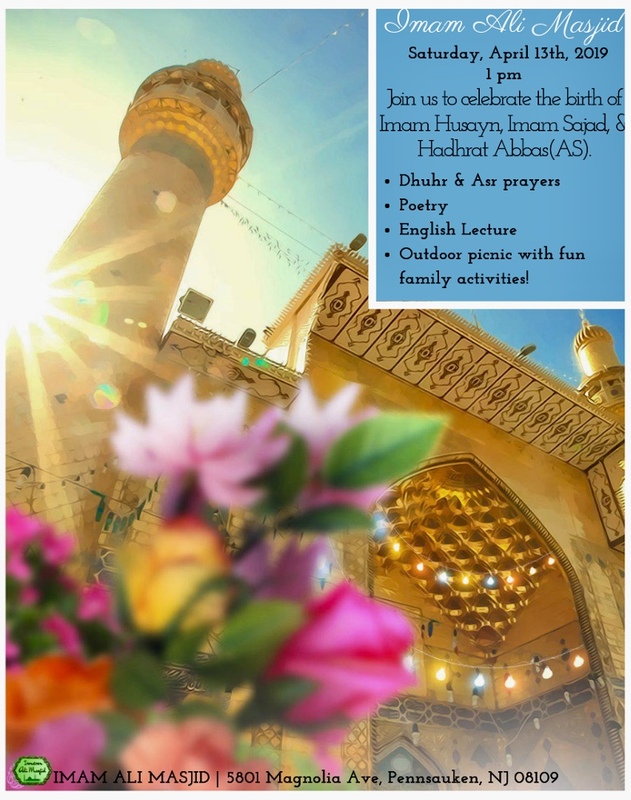 The program will begin at 1 pm with Dhuhr and Asr prayers, followed by English lecture by Sayyid Atiq Ebady, poetry, and outside picnic with fun family activities. Please view the flyer for more information. The Moon-Sighting Committee in the Council of Shia Muslim Scholars of North America announces that Sunday, April 7th, 2019 will be the first day of the month of Shaban 1440AH for the entire region of North America. A reminder that Arabic classes are cancelled for Friday, March 29th. They will resume on April 5th.